Vegetation health, Yield maps, Crop identification. Surveys for Agriculture with DRONES. Easy to use, endless possibilities. We offer a more innovative and flexible solution with DRONES for Agriculture. Choose your infrared thermal camera: radiometric, non radiometric or multispectral. 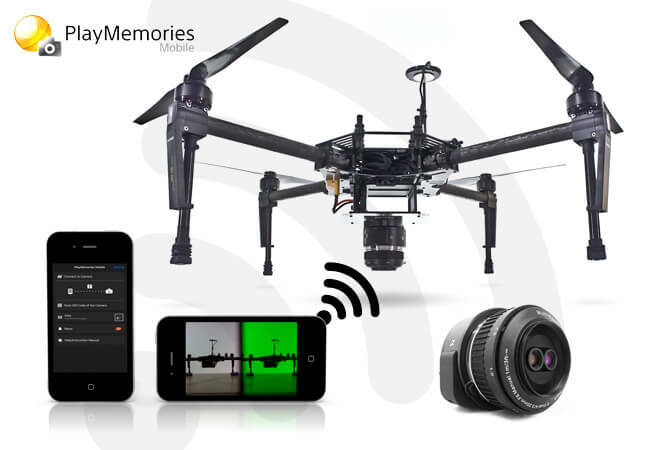 Easily carry out land surveys with videos, photos or thermocameras. Your options are practically limitless. Plan > Acquire > NDVI Analysis. The AgroSENSE complete Solution enables users to attain accurate results in reduced time spams. Operations are intuitive and immediate. Processing times are reduced drastically in order to attain the information on crop and vegetation health in the shortest time as interventions are required promptly. From the flight to the Professional NDVI Index Report in real time. 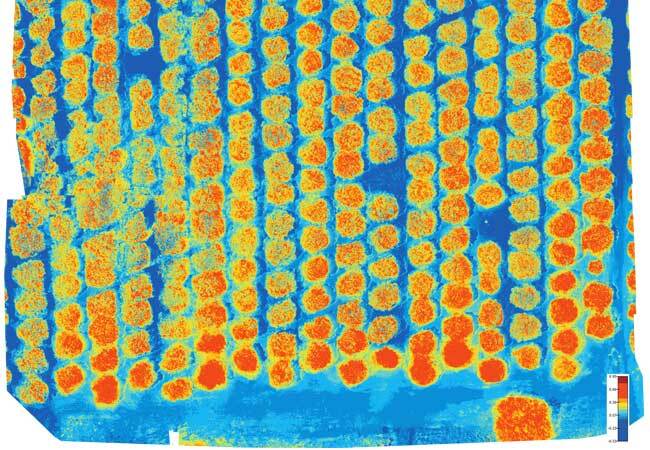 Agricultural remote sensing requires accurate NDVI analysis. Narrow spectral bands camera is a must for NDVI. 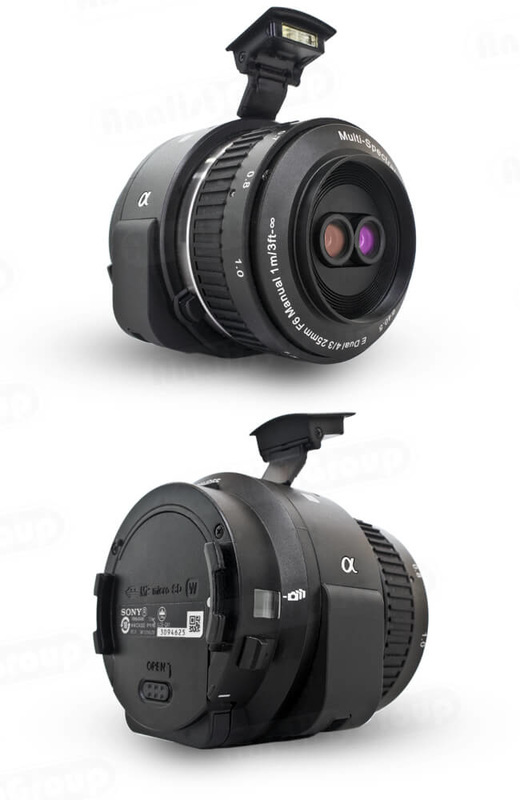 Agrowing upgraded the Sony Alpha E-Mount camera to answer this need.Agrowing brings the lightest (335 gr) and most efficient, high resolution (8.5 MP x 4 bands) multi-spectral cameras to the market at affordable prices, based on its patent pending technology. Agrowing's Multi-Spectral for E-Mount SONY cameras enables higher 10.2 MP x 4 Spectral Bands resolutiom when using SONY's Alpha 6000 Camera. 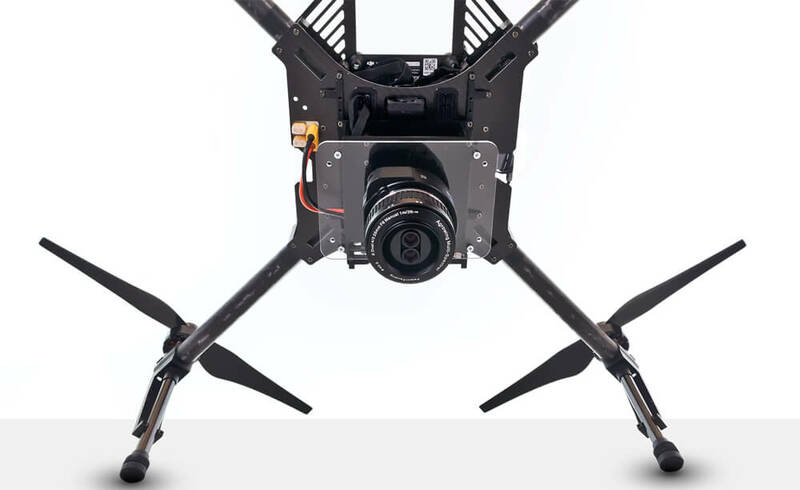 By integrating Your Drone or Software Suite with the Agrowing Multi-Spectral Camera high resolution NDVI and other indexes can be calculated. Camera integration with any analyzing system and/or software is smooth, swift and immediate. Agrowing has devised an effective way of showing the advantage of the camera's digital calibration. In the samples below two lenses are used. 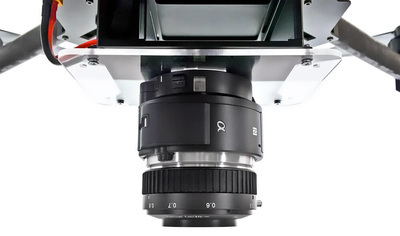 Lens 1 captures narrow RGB channles while Lens 2 captures narrow Green and NIR channels. 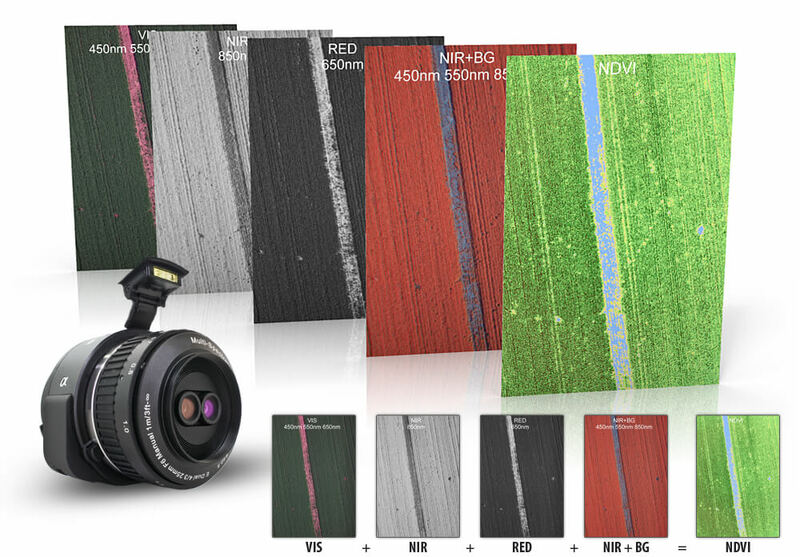 The RGB bands are perfectly aligned as they are captured through single lens.High resolution NDVI can be calculated by integrating the Agrowing camera with any analyzing system and/or software. Ready to fly within 5 seconds. 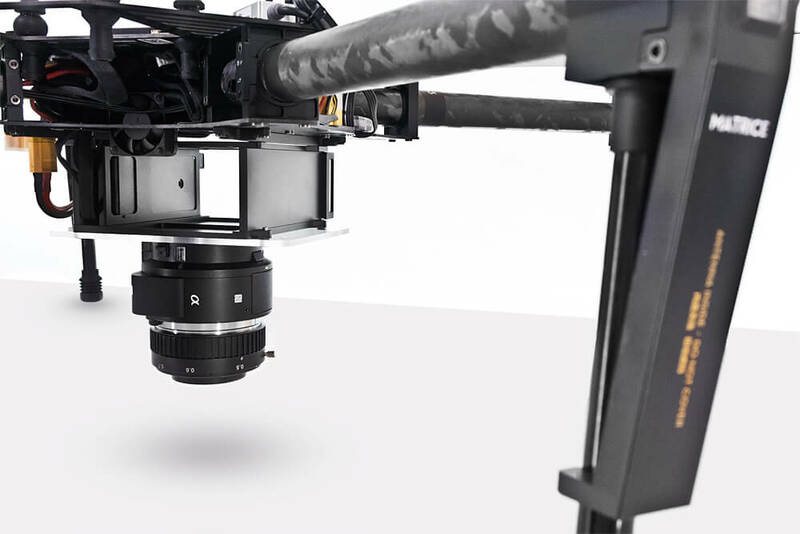 The Complete AgroSENSE Drone Solution includes a ready-to-fly DJI Matrice 100 with the modified Sony QX1 Camera safely clipped to the mount devised by Analist Group. 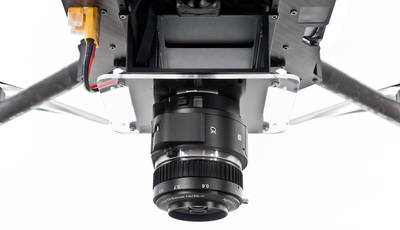 Assembling the camera under the Matrice 100 is simple and intuitive, just clip it to the base to secure it to the drone. 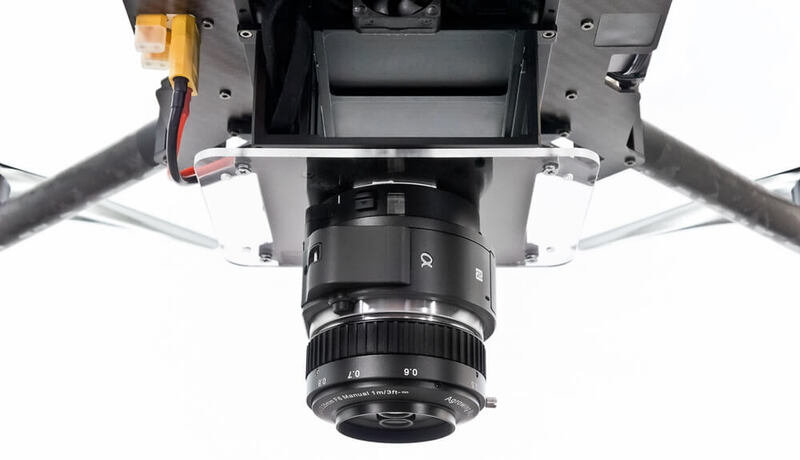 The 335 gr weight of the camera is the ideal payload for the Matrice 100 as it does not compromise in anyway flight performance, stability and time.The modified Sony QX1 camera is mounted in addition to the Zenmuse Z3 RGB camera supplied with the Matrice 100. Both cameras perform magnificiently allowing for different survey types: photogrammetric, topographic, multi-spectral without the need to change sensor. Previewing on your mobile device. Adjust the camera settings with Sony PlayMemories App, available for iOS and Android on the App store or on Google Play, choose among different shooting modes, and preview directly on your device. Imagery acquisition is automatic with the flight performed with Matrice 100. 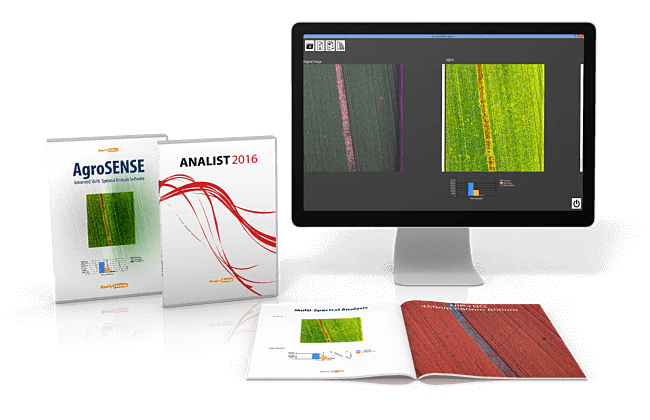 Process the data with Analist 2016 CLOUD thanks to the new revolutionary AgroSENSE module, which seaminglessly integrates the advanced Agrowing technology with Analist allowing the immediate creation of detailed reports on crop health. 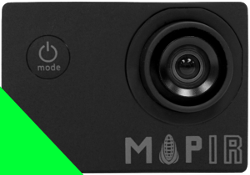 Now available the Precision Farming Complete Solution with Multi-spectral MAPIR Cameras for Phantom 2, 2 Vision, 2 Vision+, Phantom 3 Professional, Advanced, 4K and Standard. Easy to assemble, lightweight, practical and functional. The most compact Farming Drone ever. 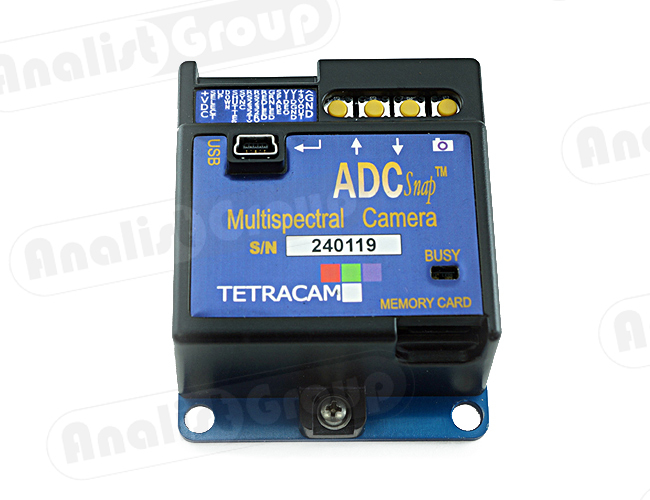 The MULTI-SPECTRAL PHANTOM includes a TETRACAM ADC Snap multi-spectral camera. The Analist Group Solution has been devised to achieve the highest performance and to be compact and effective. Work in the Precision Farming industry is now available to everyone. 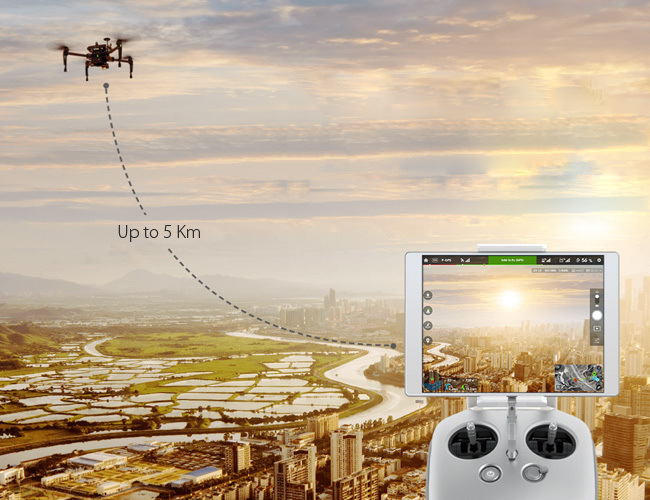 Flying is extremely simple with the new Phantom 2: stable, safe, out of the package ready to fly. Incredibly simple to pilot, even for the less experienced. Processsing the images is very simple thanks to the PixelWrench2 software included. 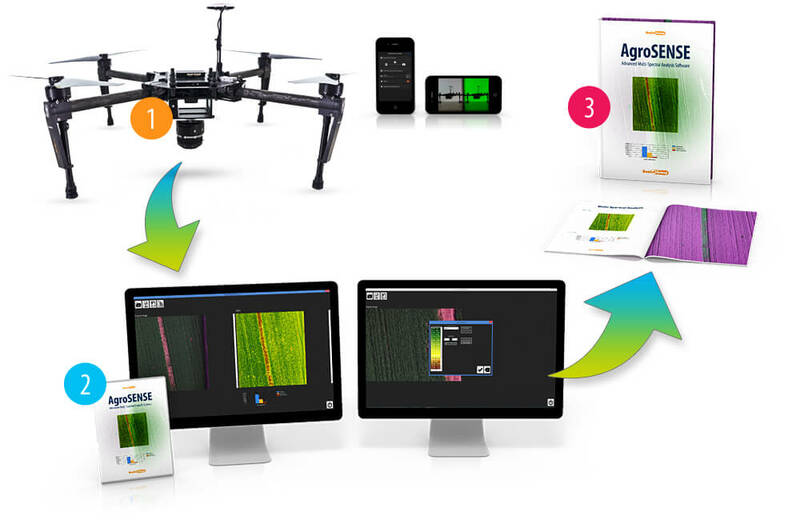 You can extract vegatative vigor indexes (NDVI), you can filter the multi-spectral frequencies and create professional reports in a very short time. 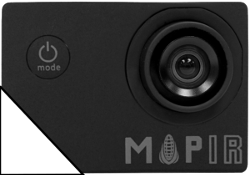 The Multi-spectral camera with elettronic global shutter. The ADC Snap multi-spectral camera uses a fast electronic global shutter which shows the whole image at the same instant in time. This ensures the highest quality images free of motion, blur and other distortions. So it is possible to fly at a lower altitude and at a higher speed without losing the high image quality. The CMOS sensor has larger pixels compared to the current standards; this ensures the best answer on the NIR (near-infrared). Simple: image procesing software included.The micro SD memory card is easily accessible by the user. All the multi-spectral images produced by the ADC Snap camera will be stored here. 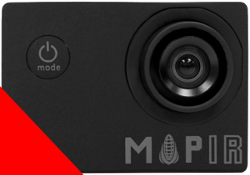 The ADC Snap multi-spectral camera produces 1,3 Megapixel (1280x1024 pixels) images which are stored along with the metadata, such as the GPS coordinates and/or attitude information of the UAV (pitch, roll and yaw). The metadata helps users establish the ground location of each image. Fly and take your photos. Transfer the images from the micro SD to your computer.You can then open the images produced with PixelWrench2, the free software included with the TETRACAM multi-spectral camera. PixelWrench2 enables you to “read” the images produced with the multi-spectral camera (which generates RAW and DCM files) it includes all features to extract vegetative vigor indexes (NDVI), in addition to other powerful processing tools in batch (multiple image processing in sequence) and a full range of multi-spectral images editing tools. 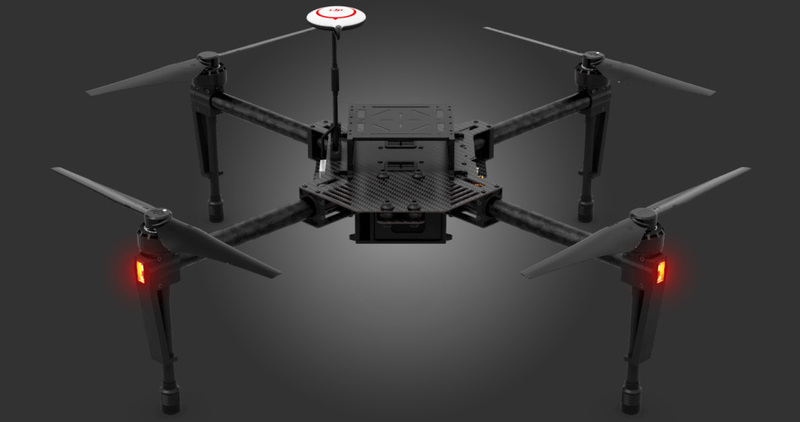 The future of Drone flying is HERE! 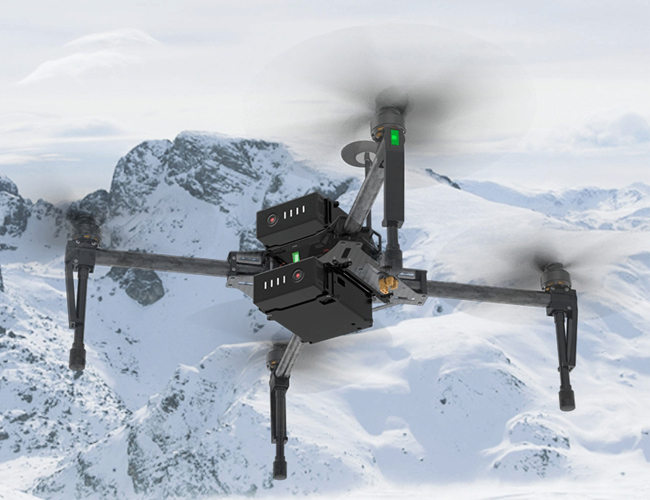 The new DJI Matrice 100 quadcopter is equipped with an extremely safe and reliable state-of-the-art piloting system, conceived to be totally and utterly customizable to meet any professional's working project needs. Customize your Matrice 100 and become successful and most competitive in the Photogrammetry, Archaeology, Thermography, Precision Farming, Advertising and Entertainment fields. Contact us for more information for your tailor-made Matrice 100. Up to 40 minute Flight time. 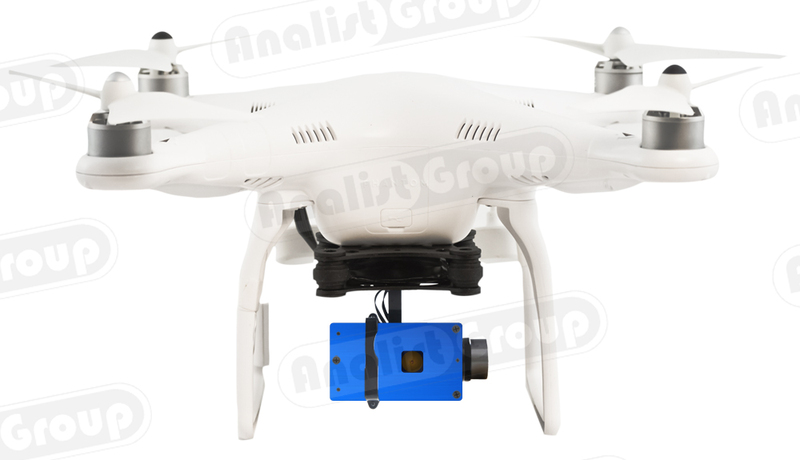 By adding a supplementary battery compartment you can reach up to a 40 minute flight time, granting more power to all devices and accessories you are flying with. 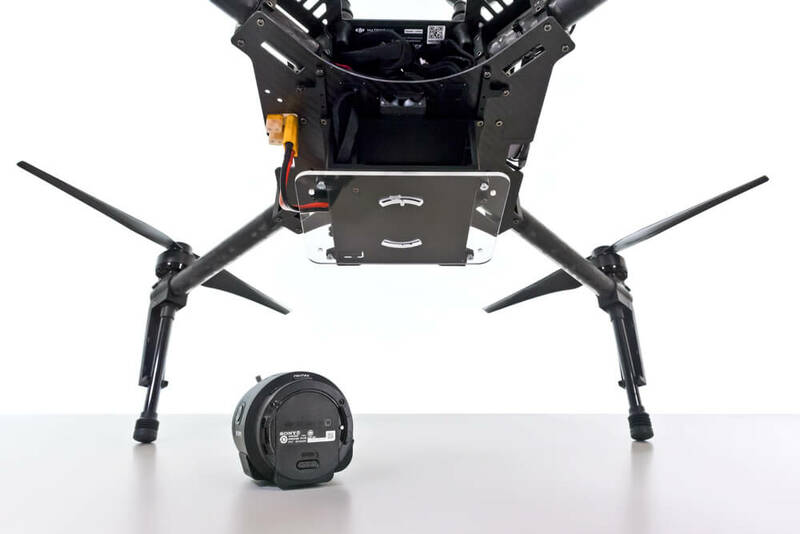 Two batteries are an essential resource as they allow precious time for operations which would not be viable operating on one battery in addition to flying more safely and with more ease and tranquility. Bare in mind that flight times can vary depending on weather conditions and payload. Be in control from a 5 Km distance.The Matrice 100 is equipped with an extraordinary high performance radio control system. 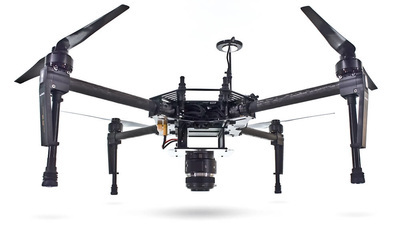 The control range is up to a 5 km distance from the Drone. 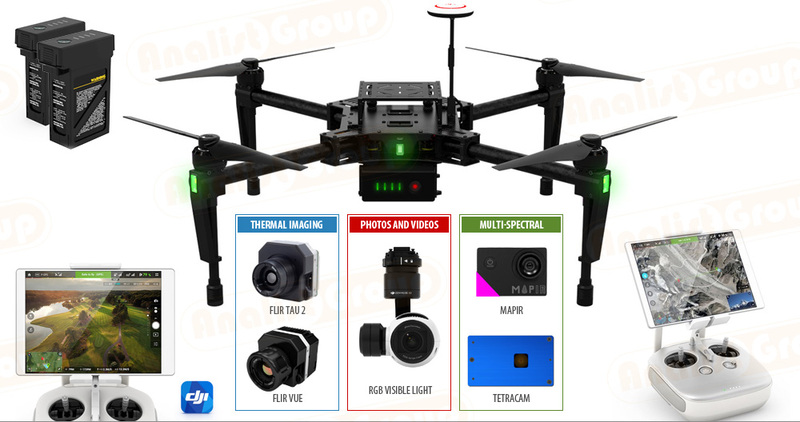 You can fly the Matrice 100 in total safety and stability, view your flght on your Tablet device or your mobile phone and in addition to having relevant information on all flight parameters, battery level and height always available. Multi-spectral Camera for Precision Farming. 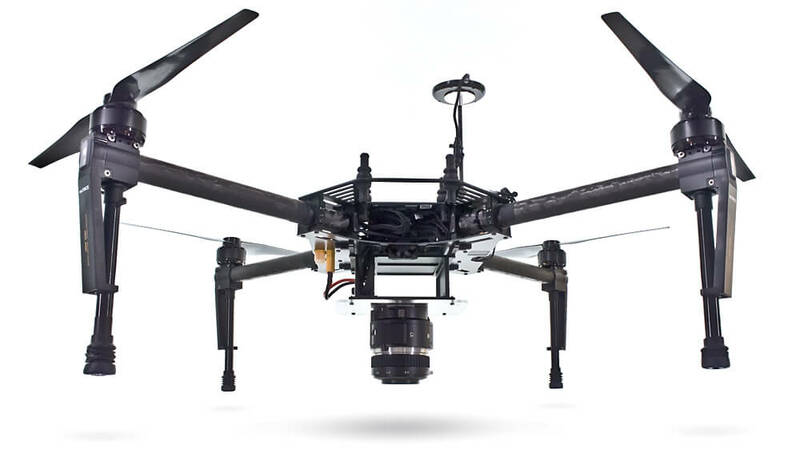 The Matrice 100 Drone can mount a Tetracam Multi-spectral Camera which is specifically ideal for Precision Farming. The TETRACAM camera is a peak professional choice for the achievement of the highest quality data in terms of spectral bands detected. In addition, the TETRACAM camera is a Global Shutter: able to acquire the whole frame at once allowing perfect images with absolutely no blur effect also flying at high speeds. 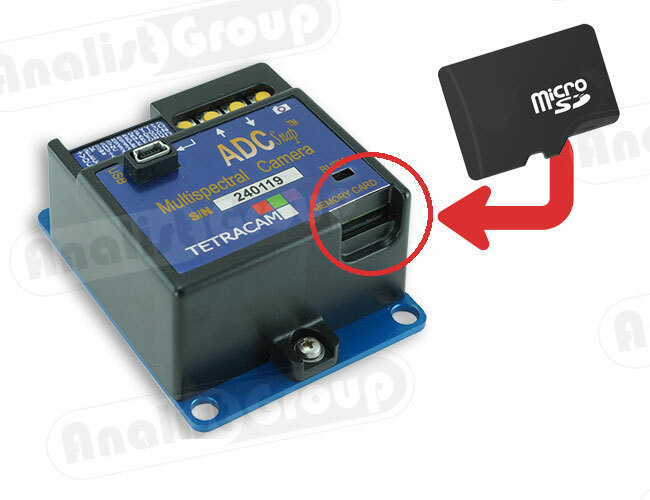 Huge data acquisition therefore becomes simple and fast with high accuracy and no blurriness.